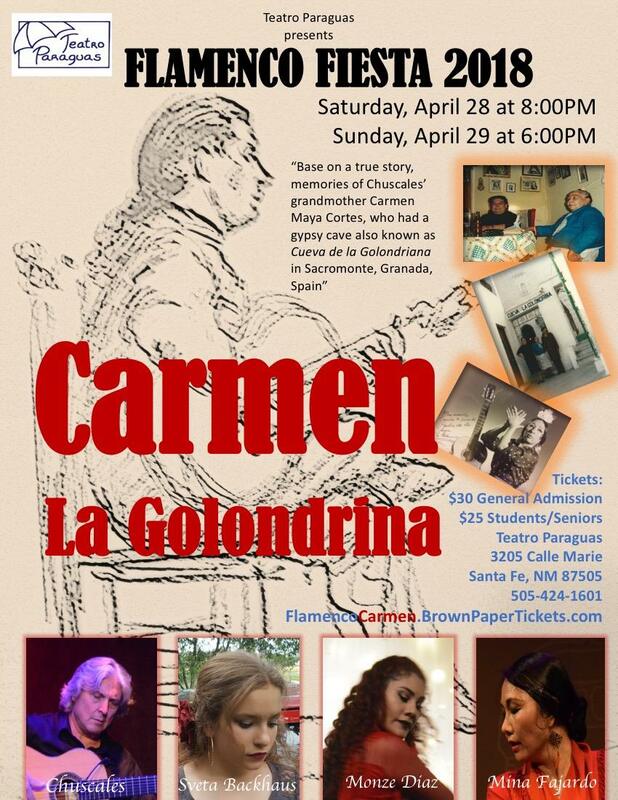 Carmen Maya Cortes “Carmen La Golondrina” was born in Sacromente in 1906 and died in 1996. Since she was little she danced at the Zambra of the Amaya and Maya, and appeared in the films “Mara de la O” and “Forja de Alma”s and “Cante Jondo Festival” in 1922. She performed in Barcelona Expo International and opened the Cueva de La Golondrina with his husband Joaquin Fajardo, guitarist, and her three children, Isabel Fajardo Maya, Maria Fajardo Maya, Antonio Fajardo Maya in 1947, performing throughout Andalusia and Morocco. She Danced at “Franco en la Granja”, and danced in Hotel Palace for many seasons. She toured with famous singer Antonio Chacon in Spain. Chuscales grew up in a traditional gypsy family well known for its professional musicians and dancers. His grandmother was among those who lived in the caves of Sacromonte, one of the legendary cradles of flamenco. Chuscales recalls, “there were shows, with Gypsies from Granada who grew up in families that lived there. I wish you could see it, the families in the caves and the singing and dancing. There might be seven, eight, maybe nine caves, all with singing and dancing, and there would be more singing and dancing on the streets every day. It was unbelievable. It was very formative time in all my life. It was like a dream. This is where I learned everything the rhythm, the beat, the guitar. I am still learning from those thousands of nights performing with my family, with my father, my grandfather, and my friends.